The sketch really appealed to me. I think it's because it's a square card and I really like those lately (...subject to change like the weather). And since I'm dreaming and wishing I could just hang out on the beach with an umbrella drink in my hand, I pulled out my shell stamps and went to town...er...the beach. I started out with a 5.25" square card base. I spritzed the matting layer (5" square) with Smooch Spritz and set aside. I then cut three pieces of twill ribbon and spritzed two of them with Smooch Spritz. 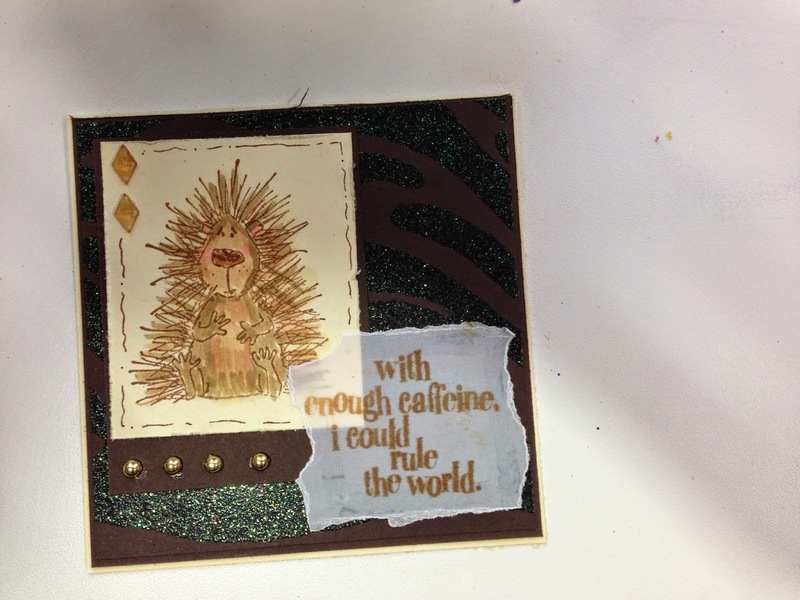 I cut a smaller piece for my main image mat and tore another cream color piece of cardstock for my top layer. 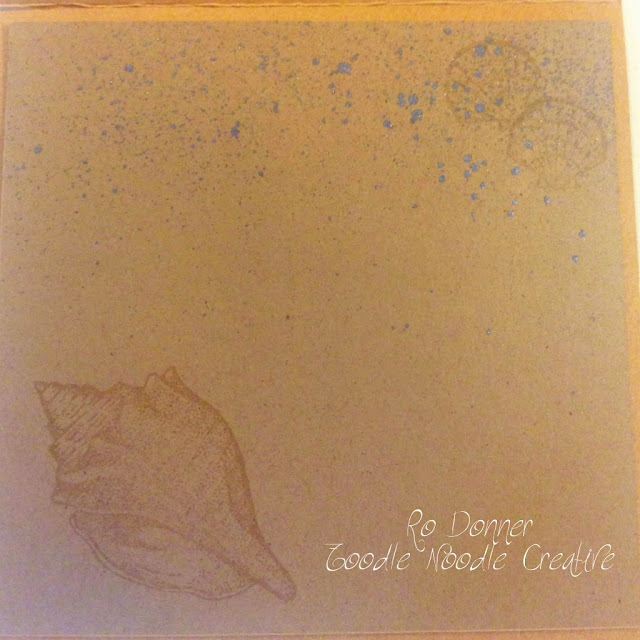 I stamped one shell in brown on the torn paper. I then stamped the other shell in blue on a scrap piece and fussy-cut it out and attached some dimensional foam to the back. 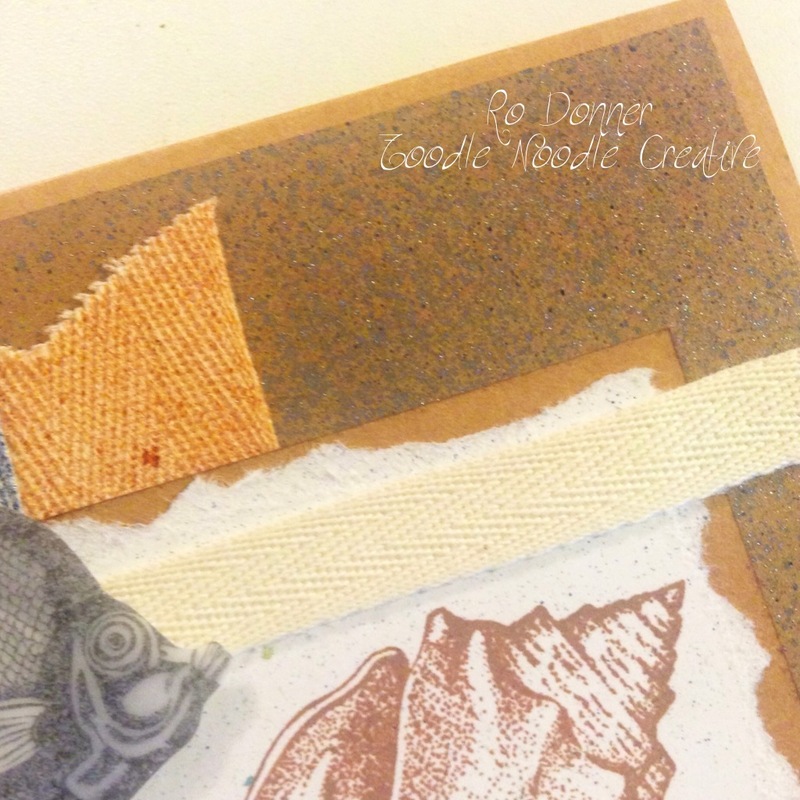 The colored twill was attached to the mat along with the stamped layer and popped up shell. 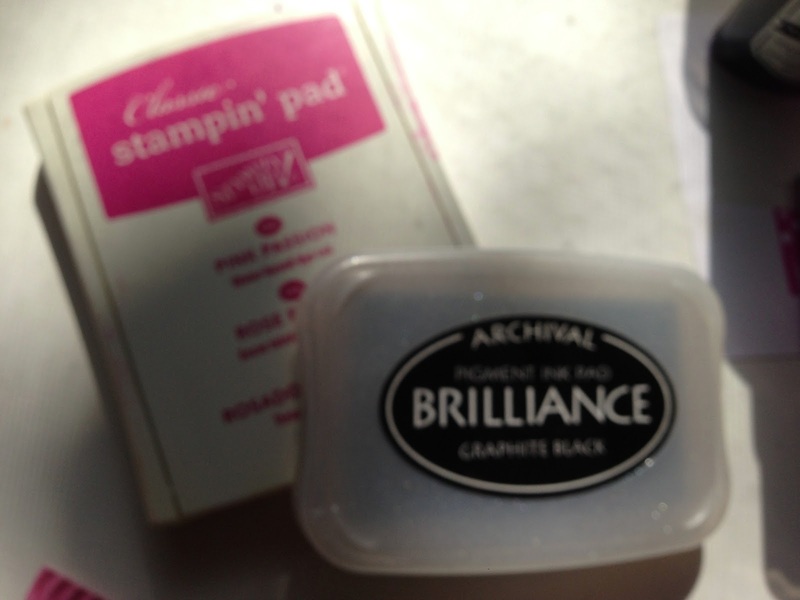 The plain twill was attached and wrapped to the back of the mat. 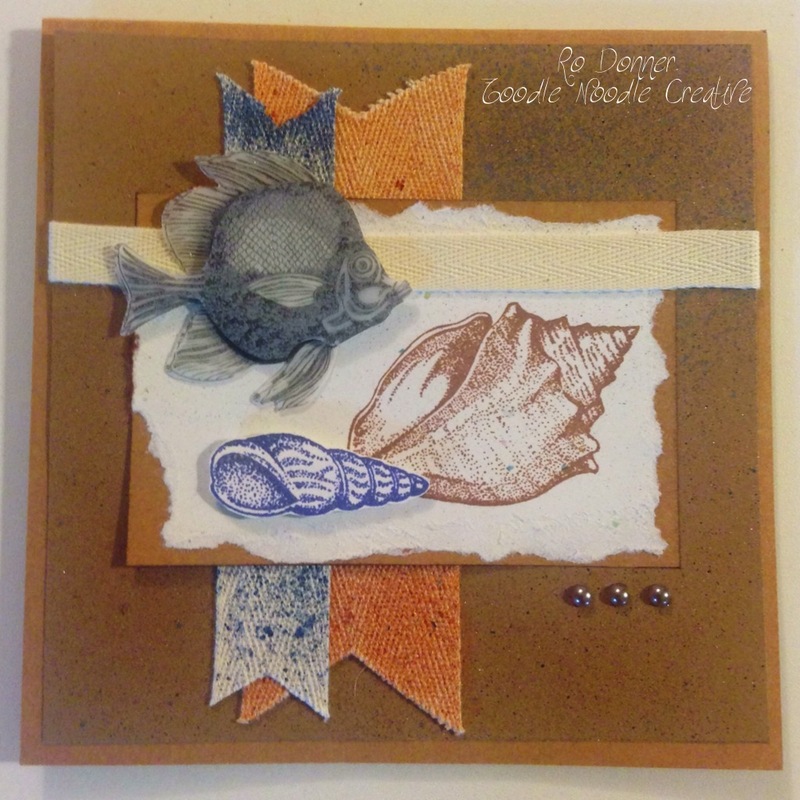 The mat was then attached to the card and the fish and silver pearls added. For the inside of the card, I added another matting layer and stamped more shells with Versamark and added a little of the blue spritz spray. I opted to skip the sentiment on this card so I will be able to use it for whatever occasion presents itself. I think this would be an excellent masculine card. They are usually a little harder to come by, and I'm happy to be able to add one to my stash! Hope you enjoyed my card! Feel free to leave me some blog love. I enjoy reading your comments! I simply stamped the image (Inspired by Nature) on the text background and mounted that to two mats. I added some lace and a strip of the green mat cardstock. 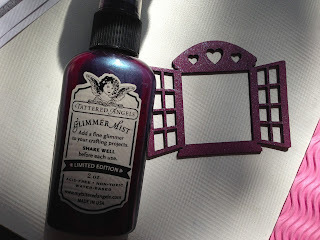 I fussy-cut the rub-on flowers and added them with dimensional dots and added the "thinking of you" rub-on (all from Stampin' Up!). A very simple card, with a very versatile sentiment. Havin' A Whale of A Time! 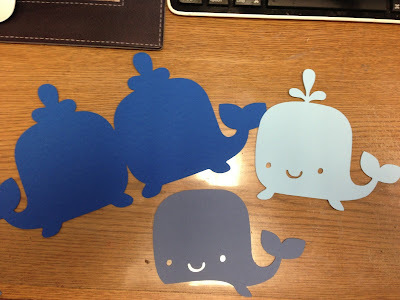 This week's challenge on Fantabulous Cricut is a shaped card. Don't panic! 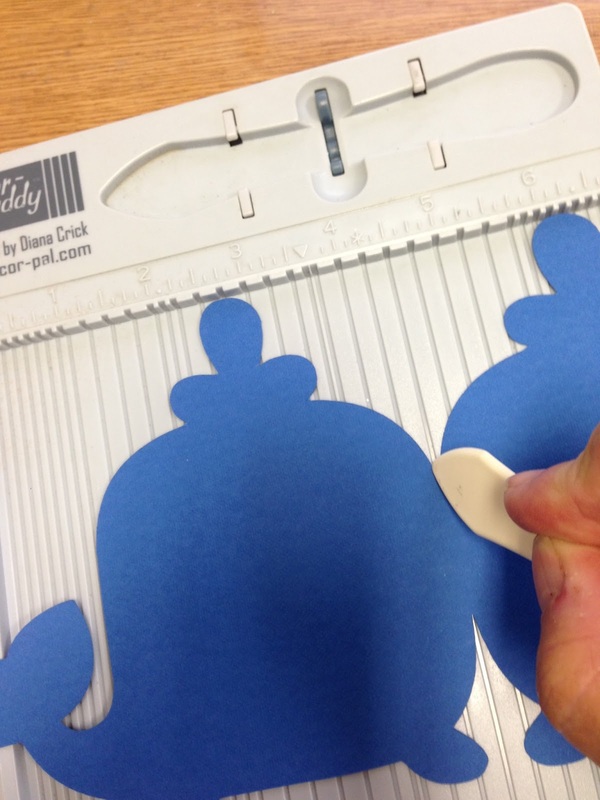 Shaped cards are incredibly easy to do if you know the tricks. 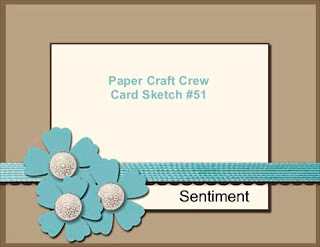 In addition to many shaped cards on cartridges like A Child's Year, Just A Note and Wild Card (just to name a few), you can create your own shaped card with your Gypsy or with the Cricut Craft Room. Select your desired shape. It helps to have a shape that has some solidness to it's side. You want something you will be able to "connect" when you do the mirror image. Place the base shape on your screen twice, and add all the necessary layers of the image. Size them the card size you want. (This one is approximately 5" high.) That will ensure that all layers will fit the way they are supposed to. Select only one of the base images and flip it from right to left. Move it to the opposite image. I use my cursor keys to move it so it slightly overlaps the mirror image. Select "weld" and you will have your card base. 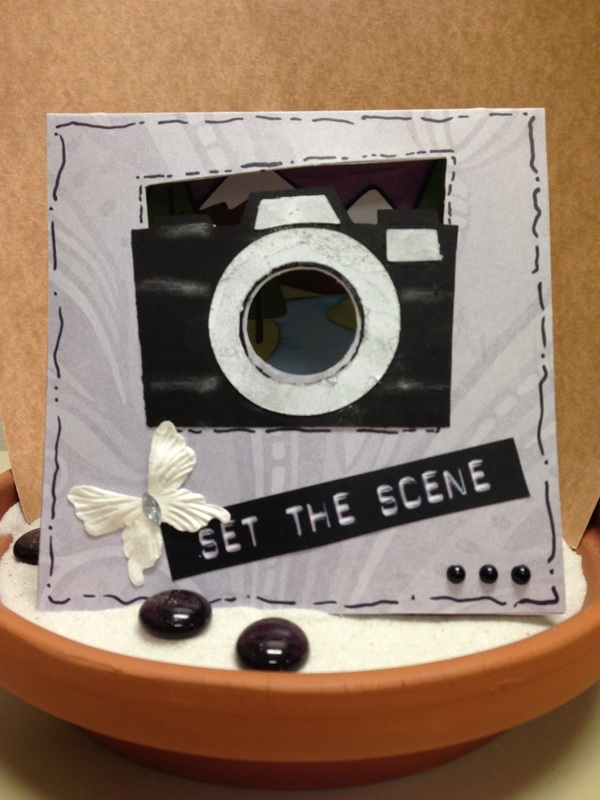 Now all you have to do is score and assemble your card! Easy peasy, nice and breezy! 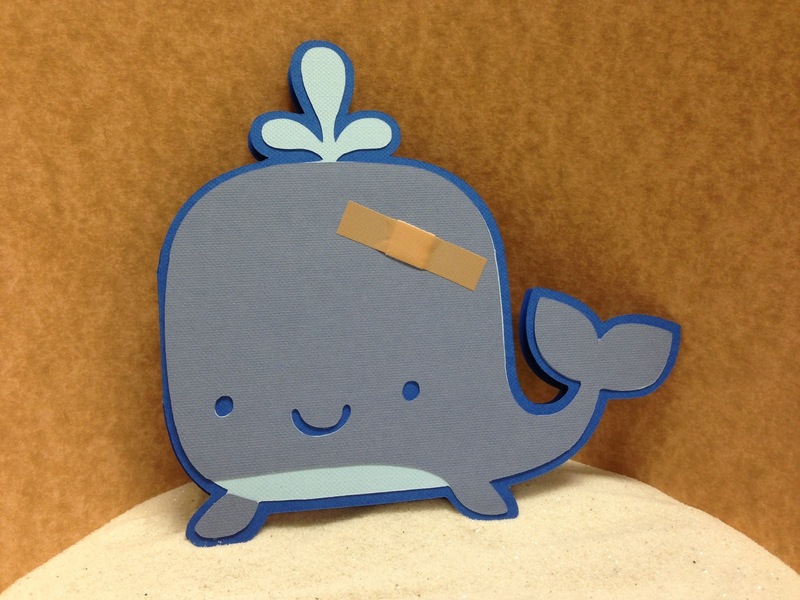 I added a little bandaid to the front and an adorable sentiment to the inside. Hope you are inspired to give a shaped card a try. 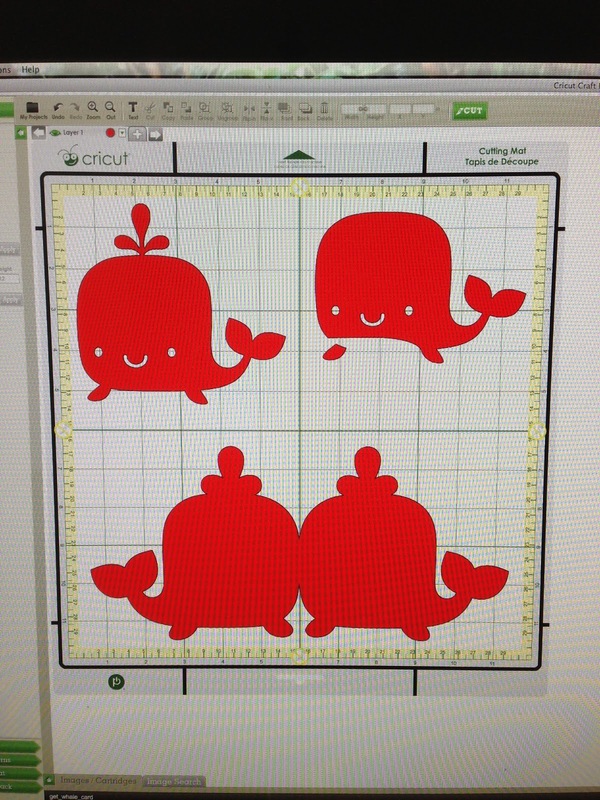 Head on over to Fantabulous Cricut and see what the other Design Team Members have to wow you with! A Wild and Glittery Day to You! 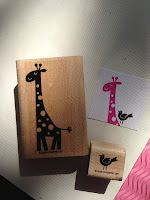 I can't help but smile when I look at all the fabulous glittery animal print cardstock from The Robin's Nest. These glittery papers just put a twinkle in my eye (pun intended). And for the entire month of July, you can get 20% off any of the Animal Prints! 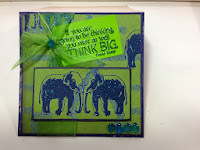 I started out with a 5" x 5" card and cut the glittery cardstock to 4.75" x 4.75". 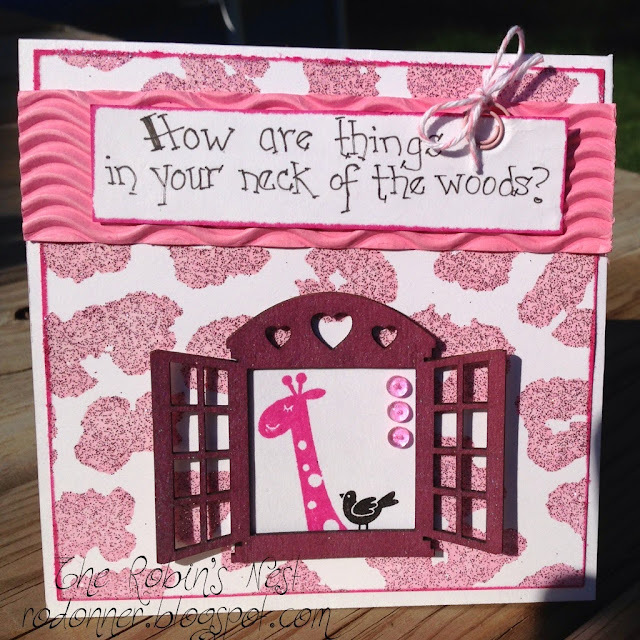 I inked the edges with Pink Passion Ink (Stampin' Up) and adhered it to the card base. Next I sprayed the adorable Cottage Window chipboard with Glimmer Mist and stamped the giraffe and bird on a square of white cardstock to fit behind the window. 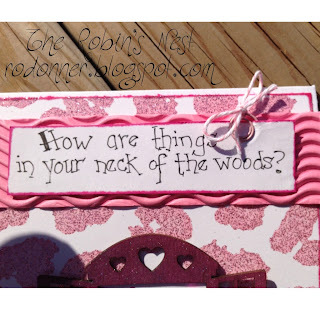 I hand-lettered the sentiment on white cardstock and adhered it to some wavy pink corrugated cardstock that I had in my scrap drawer. 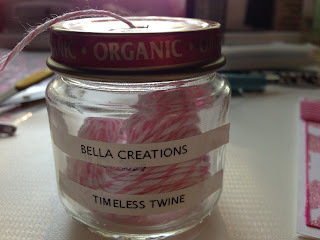 A cute little round paperclip and some twine added just the right touch. Oh! 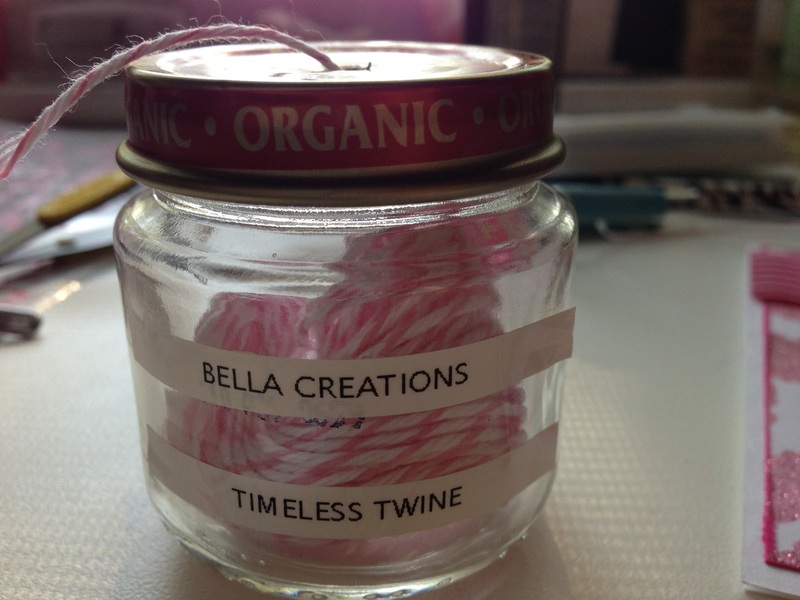 Do you want a handy little tip on storing your twine? Baby food jars! I haven't gotten around to painting the lids to make them all pretty and stuff, but they sure are functional! 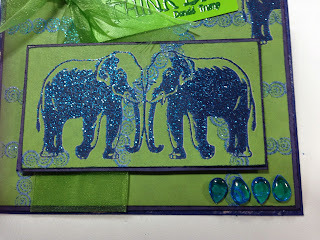 And what card is complete without a little Dew Drop bling? 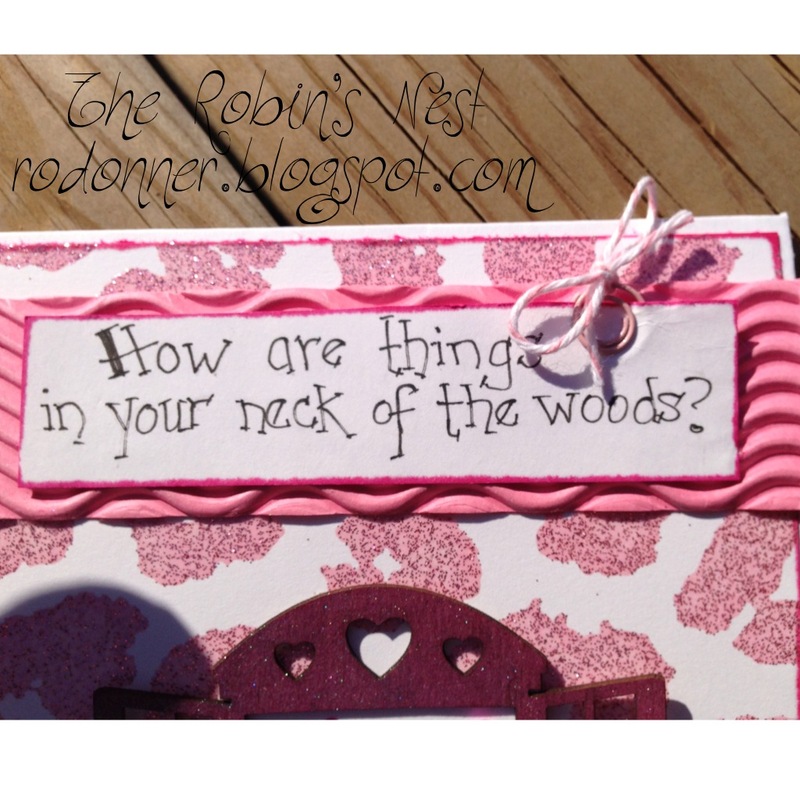 Now that you've had a chance to check out my little project, head on over to The Robin's Nest and see what fabulousness they have to offer! You may just get some twinkly inspiration! Welcome back for another Fantabulous Cricut Challenge. This weeks challenge is all about scenery. There are some great cartridges out there with scenes on them, and I chose Campin' Critters. There are four totally awesome scenes included on this one: Lakes, Mountains, Snow Scene and Dessert. I chose the beautiful mountains. So let's get started! When I read the title of this week's challenge, I knew I wanted to include that exact sentiment in my card. This is where it ended up....front and center(ish). It is kind of an inspiration card of sorts. 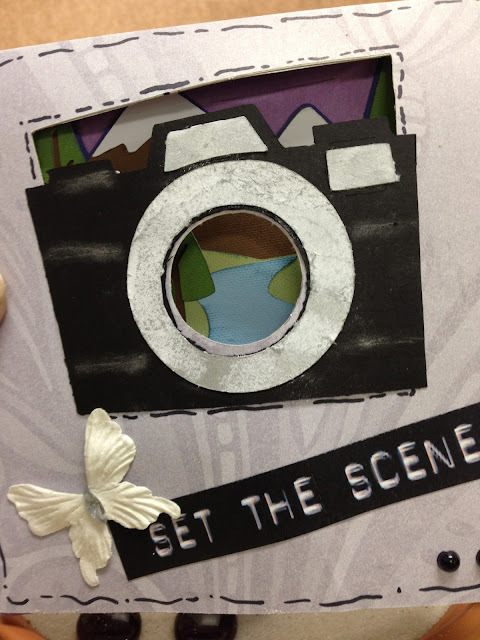 I cut the camera and card base using Locker Talk. The sentiments are all computer generated. I wanted the front of the card to be black and white so that when it was opened, it had sort of a Wizard of Oz effect....in COLOR! Which tied the inside sentiment in perfectly. And I love the mountain scene from Campin' Critters! So there you have it. Glad you could stop by and let me share my project with you. Now head on over to the Fantabulous Cricut Challenge Blog and see what the other fabulous designers have to share with you. 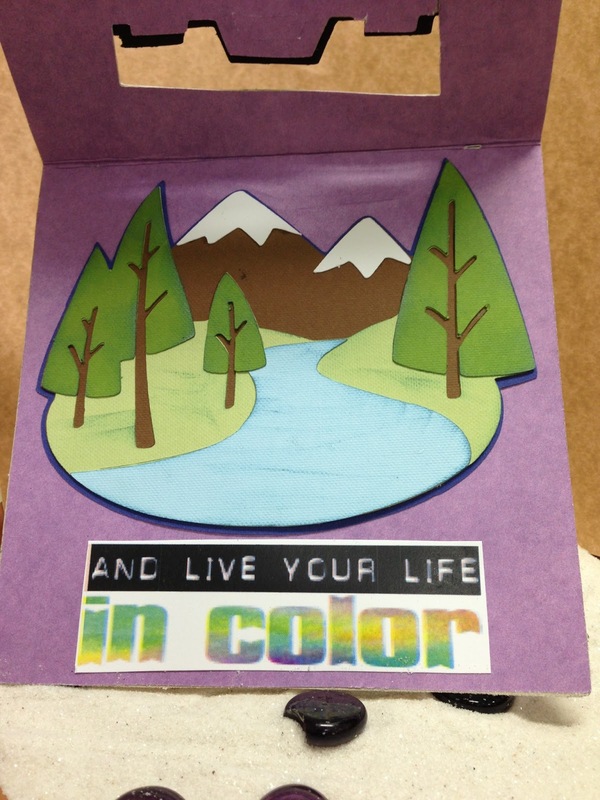 Be inspired to live your life in color. 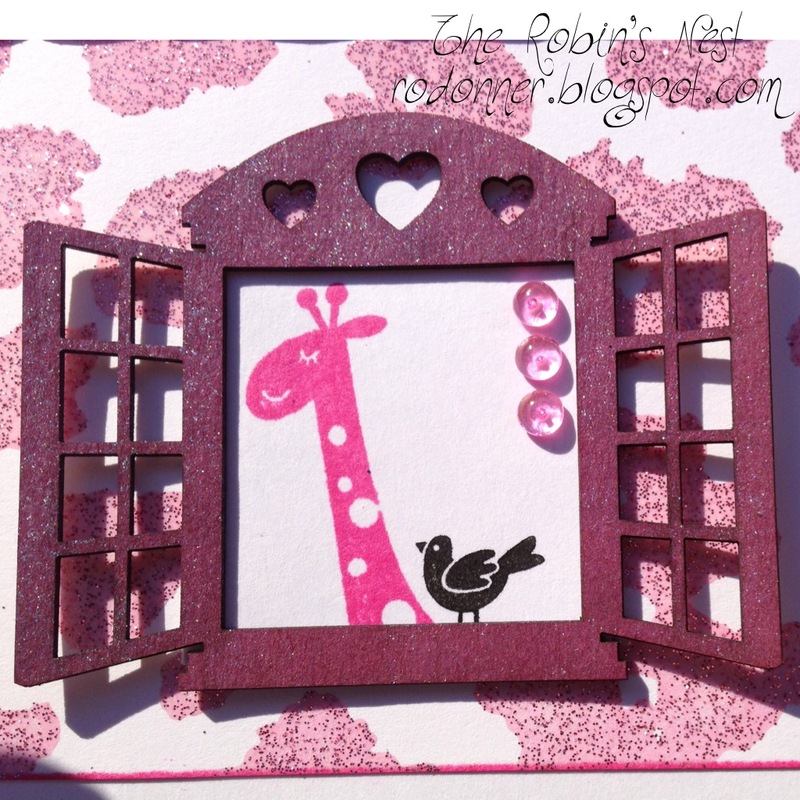 Going Wild with The Robin's Nest Animal Prints! Hi to all my followers and my new Robin's Nest friends! 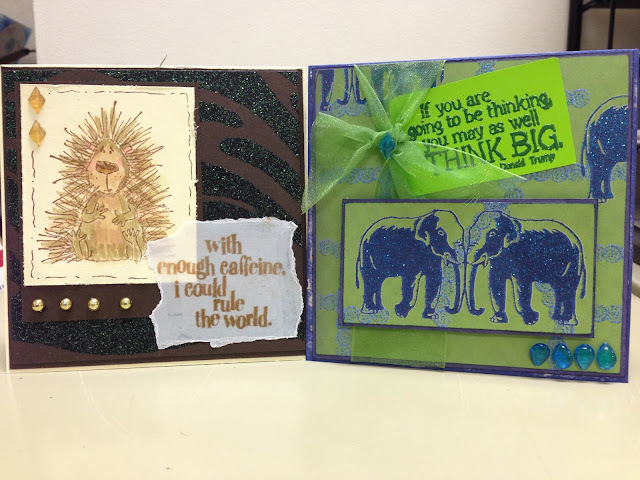 I am excited to share with you a couple of cards I created using the wild and sparkly Animal Print paper from The Robin's Nest! Hint: You can get these awesome papers this month for 20% off!!!! 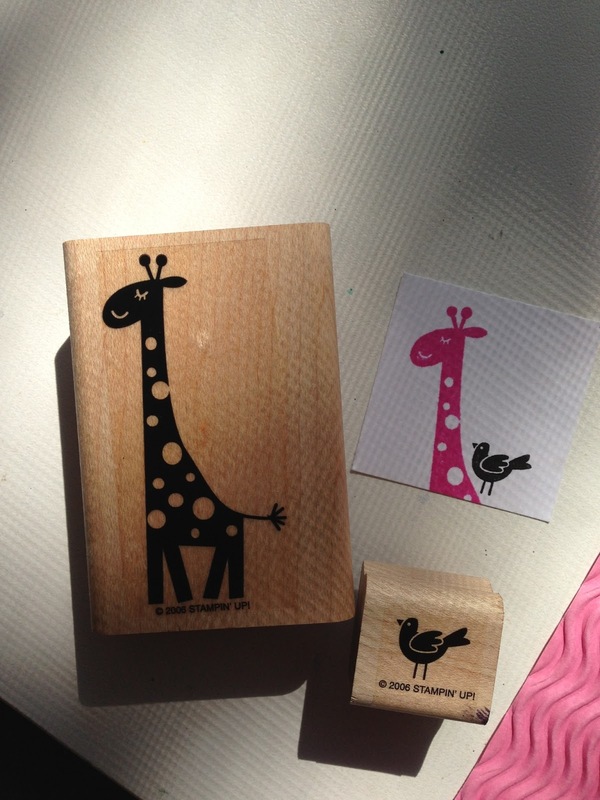 Both cards are 5" x 5" (cut cardstock 5" x 10" and score on the 5" mark). I cut matting layers 4 7/8" and the animal print cardstock at 4 3/4". The base layer for the caffeine card is cream. 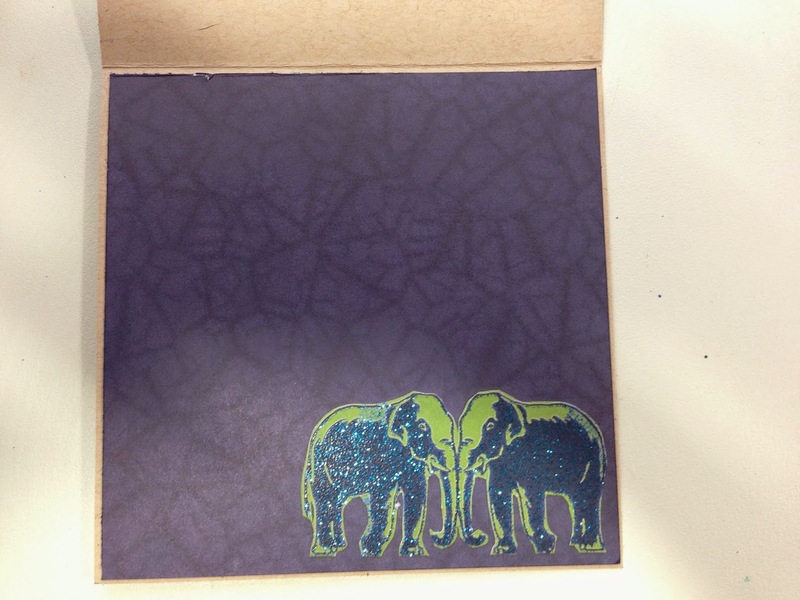 The next layer is the solid side of the animal printer cardstock and the top layer is the glitter/print side of the animal print cardstock. The porcupine was stamped on cream cardstock and cut to size. 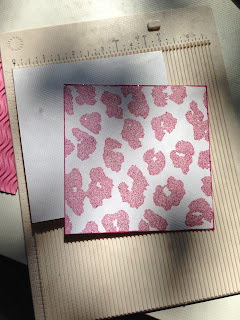 It was then mounted on a larger piece of the solid side of the Animal Print cardstock. The "critter" was colored with Tombo markers and the outline detail was drawn with the markers as well. Diamond Dew Drops were added as an accent on the image layer. 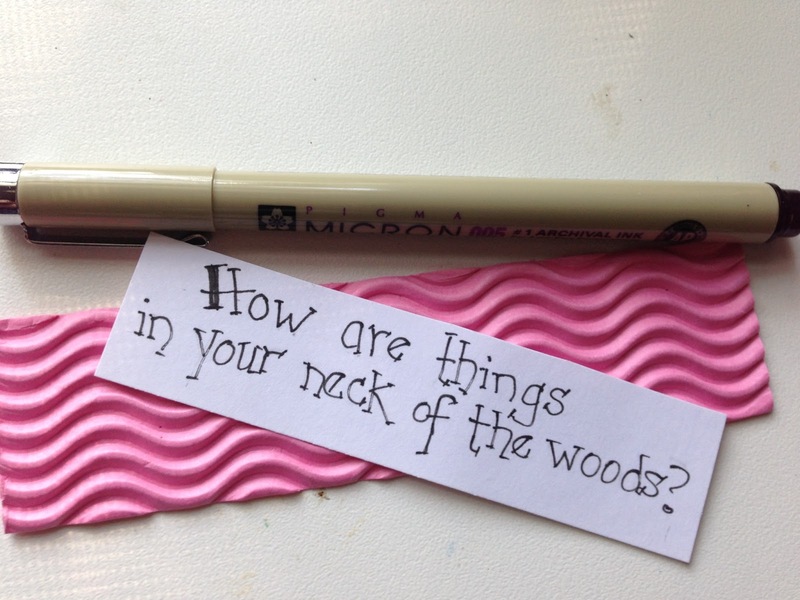 The sentiment was stamped in brown ink and torn to size. Gold Dew Drops were added as an accent. At the bottom of this post, you will see the supplies list for both cards. And as you're checking that list out, be sure to click on the links to The Robin's Nest and see all the wonderful colors and shapes available in the Dew Drops. They are truly awesome!!! Especially for someone who likes a little bling (like me!). 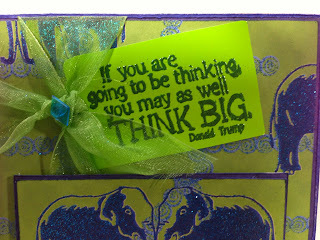 The Think Big Card was fun to make. 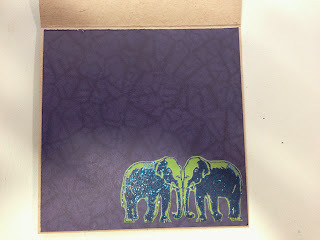 The colors and the glittery elephants are just so cheery! I used both sides of the cardstock. You'll find that the solid color sides make for excellent matting. They perfectly coordinate with the glittery front. 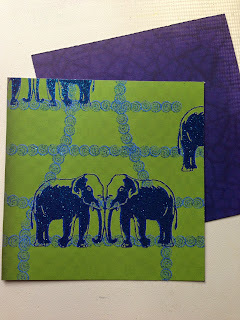 I cut the smaller elephants down to a small rectangle and mounted them on the solid cardstock. Before that was mounted on the layers, I used some beautiful ribbon I had in my stash and tied a knot. The ribbon added the perfect glimmer. 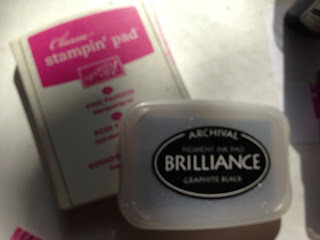 The sentiment was stamped on....are you ready.....a paint chip! I am always picking up paint chips when I accompany my DH to the hardware store. Ok, I admit, I have made trips to the hardware store alone just to pick up paint chips for my craft projects. Shameless, I know. 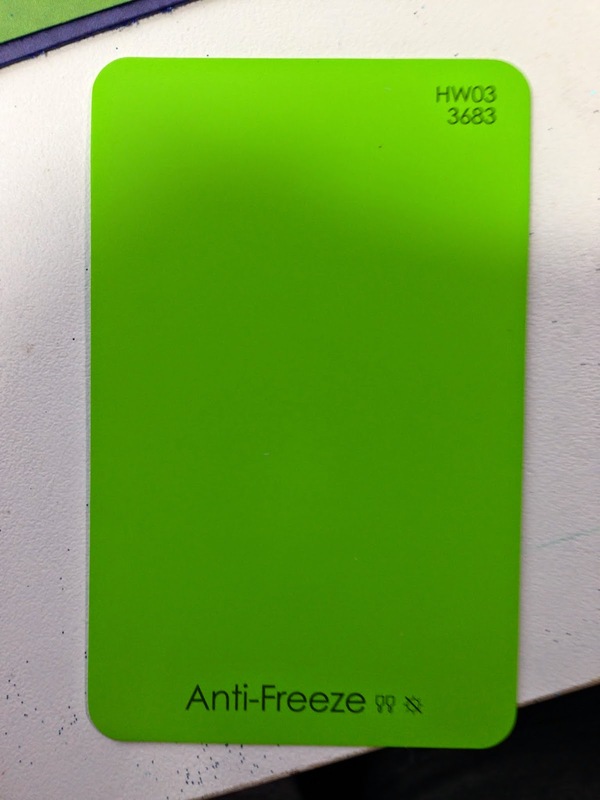 Who would have thought a color called "Anti-Freeze" would be so perfect?! 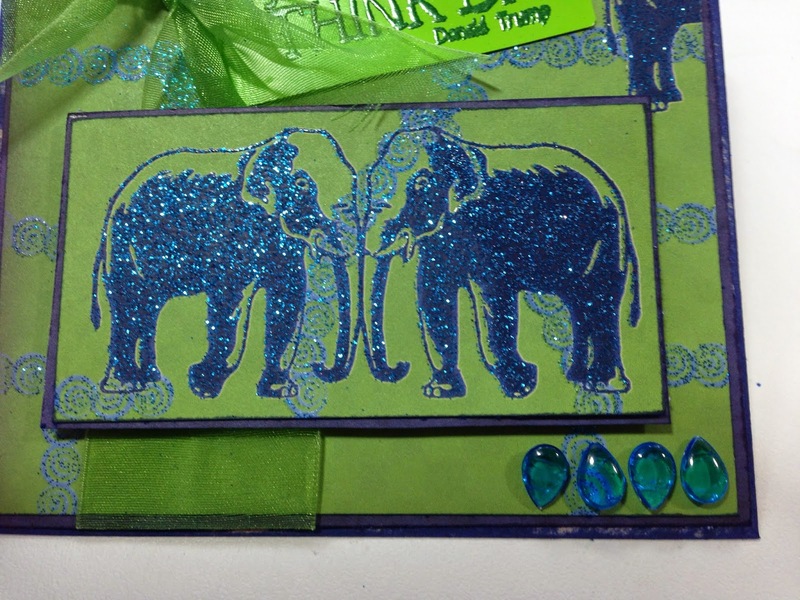 I adhered the sentiment and the elephants to the front of the card and added a little big of bling in the form of Dew Drops! Between the shimmer of the ribbon and the glitter on the paper and the sparkly little Dew Drops, this card just pops! 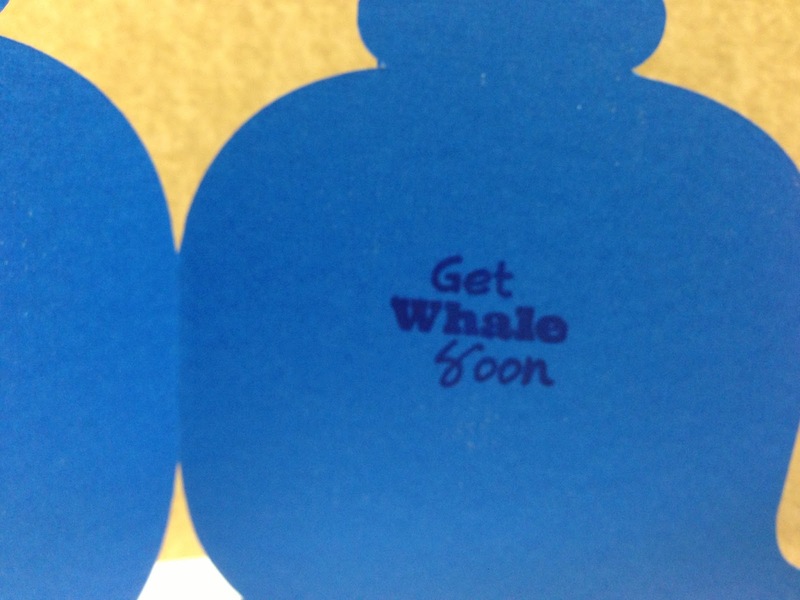 And here is a little peek at the inside of the card. 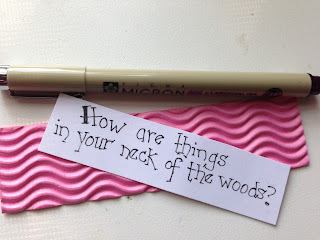 I haven't decided which sentiment to put in there yet. It could be used as a congratulations card or a graduation card, or even a card of support. Don't those elephants twinkle so pretty?! I am so happy to be a part of The Robin's Nest Design Team, cuz I get to use all these awesome papers and Dew Drops for my projects. Just sayin'. Hopefully you are as excited as I am about this wild animal print collection of papers. 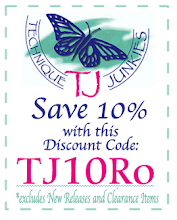 Remember, 20% off on these beauties all month!! 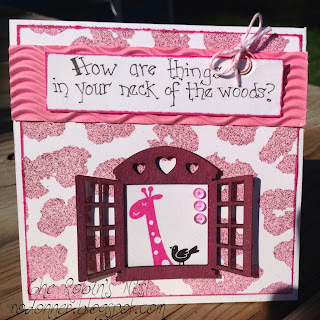 If you would like to see more awesome crafts and ideas, follow along with Chattering Robin's Blog (and me too! ).